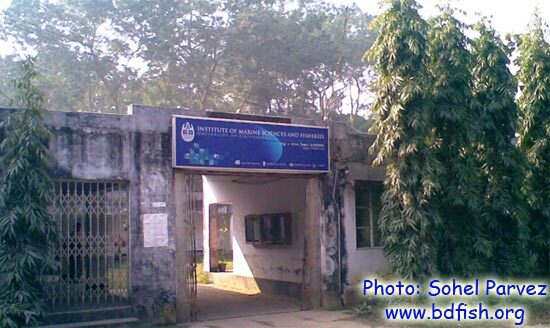 Institute of Marine Sciences and Fisheries (IMSF), University of Chittagong is the premiere academic institute in the field of marine sciences in Bangladesh. It has earned an international reputation in professional education and research that is concerned with making sure that good planning and policy decisions result in oceans and coastlines being managed sustainably into the future. It’s about ensuring the health of our marine and coastal environment. IMSF was first established as the Department of Marine Biology and Oceanography in 1971 and was approved as a project under Canadian Technical Assistance Program. Then it was included in the development scheme of the University under the Forth Five-year Plan of the country. In 1983, the University of Chittagong approved the conversion of the Department of Marine Biology and Oceanography into the Institute of Marine Sciences. IMSF of the University of Chittagong is the lone institution of its kind in Bangladesh, and awards undergraduate, graduate and post-graduate degrees in Marine Science and related disciplines. Since opening in 1971, the institute has grown rapidly to become a leading provider of a multidisciplinary studies and pure and applied research in marine sciences and fisheries. One prime objective of this institute is to produce highly trained graduates to develop the marine resources of the country. IMSF is the first and leading academic organization in the field of marine sciences and fisheries studies in Bangladesh. It produce skilled technical personnel in marine science and its related disciplines, carry out research on marine, brackish and related environment and their resources, cooperate government and government agencies in policy making on maritime issues, organize training/workshop/seminar conference programme on marine, brackish and freshwater issues, publish brochure/books/journals/periodicals on marine science, disseminate and transfer the technology on marine science to the stakeholders. IMSF teachers and students conduct research throughout the onshore and offshore region of the northern Bay of Bengal and nearby islands and coastal habitat. Right from the day of its inception, IMSF has stood for quality, integrity and commitment as per as the country’s higher education is concerned. It is committed to academic and research excellence emphasizing basic research and research-based teaching and the development of academic disciplines. This journey has never been silk-smooth and will not be either in the coming days but IMSF with all its teachers, students and administrators is resolved to uphold the spirit it has aimed at –to search the sea to serve the nation towards betterment and to create the venue that would bring this progress. B. Sc. (Honours) in Marine Science, B. Sc. (Honours) in Oceanography and M. S. in Marine Science in five different specialized branches as well as MPhil. and PhD programmes. Marine Ecology, Marine Invertebrates, Marine Chordates & Ichthyology, Marine Botany, Marine Microbiology, Physical Oceanography, Chemical Oceanography, Estuarine Processes, Wetland and Lake Management, Mangrove Ecosystem & Management, Planktology, Environmental Pollution, Environmental Impact Assessment, Biodiversity & Conservation, Fisheries Resource Management, Fish Breeding & Genetics, Biochemistry & Physiology, Fish Health Management, Fish & Shrimp Nutrition & Feed Management, Aquaculture, Aquaculture Planning & Engineering, Post Harvest Technology, Sustainable livelihood Approach, Remote Sensing & GIS, Research Methodology, Biostatistics. Practices in Computer Application, Communicative English, Mathematics. Fisheries, Aquaculture, Environmental Pollution, Oceanography, Fish Processing & Microbiology. 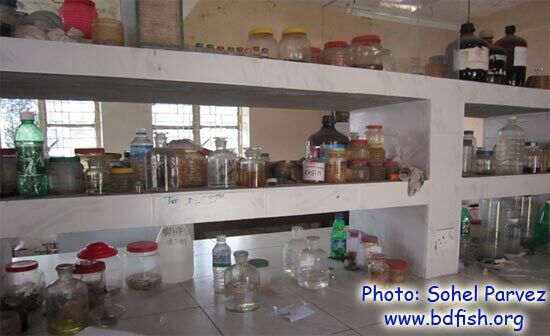 There are four on campus laboratories named Dr. Nuruddin Mahmud Oceanography Lab., Fisheries Lab., Dr. Yusuf Sharif Ahmed Khan Environmental Pollution Lab., Nutrition Lab., Plankton and Ecology Lab. 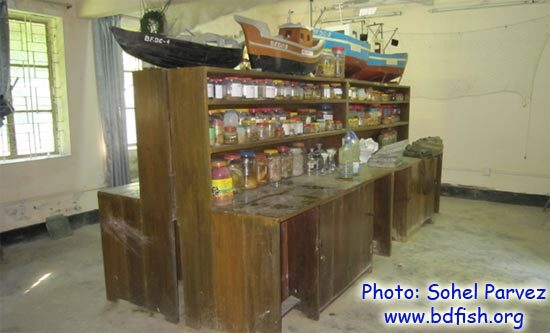 It has a field research station in Cox’s Bazar to facilitate in situ marine data collection and research in sea. The institute possesses a very rich library named Dr. Abdul Latif Bhuyan Seminar Library aggregating a great number of books, journals magazines and other academic and research supplements with all modern amenities. The most interesting part is its Marine Biology Museum housing a good collection of marine and coastal life forms that is a great place to provide a view of diverse and amazing organisms found in the mysterious world under sea. The IMSF organize various field trips in cooperation with Bangladesh Navy and some other organizations in the marine and coastal area to provide a practical experience and real sense of theoretical studies. There are five professors, four associate professors, seven assistant professors and five lecturers in the institute to carry out research academic programmes. Upon successful completion, graduates of this institute will be able to effectively and confidently apply themselves in all the fields of marine sciences, fisheries and aquaculture workforce on a pathway toward research, management, as well as comprehend and analyse the basics of the fisheries and aquaculture business environment. This knowledge background would also allow graduates to continue their studies towards advanced degrees in abroad. IMSF publishes a peer reviewed research journal named ‘Bangladesh Journal of Marine Sciences and Fisheries’, ISSN 1992-4445 and some other magazines. Visited 4,943 times, 2 visits today | Have any fisheries relevant question?